To be a Prince in the Italian Reinassance is a brave and incessant struggle. 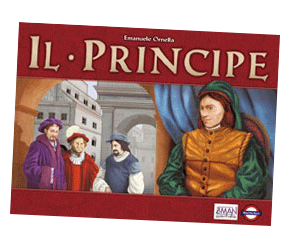 A Euro-style game in the mold of Puerto Rico (set in medieval Italy), for those who enjoy that kind of thing. Too ‘Euro’ for my tastes however.